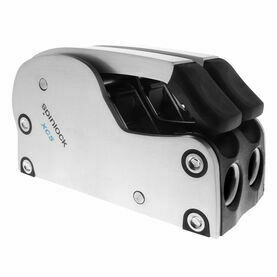 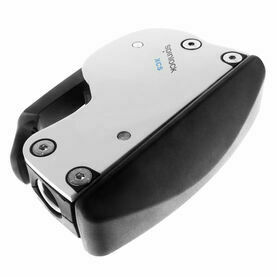 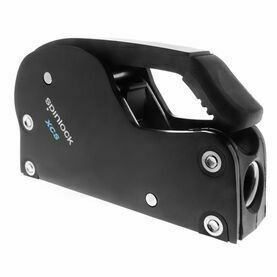 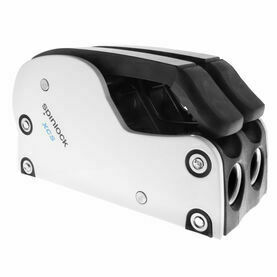 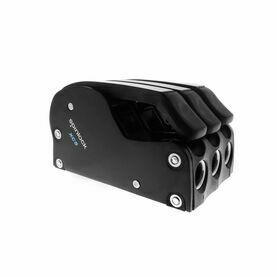 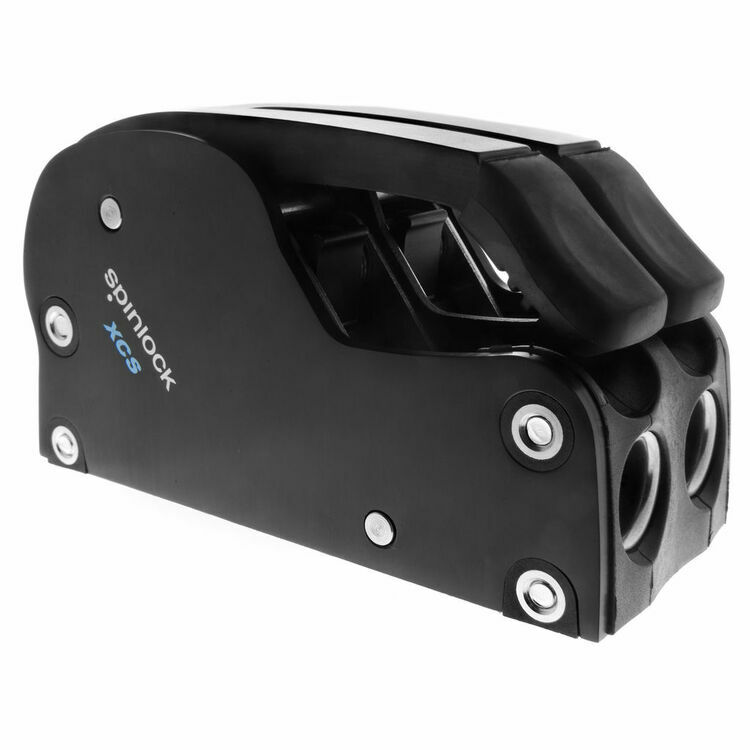 This double variation of Spinlock’s XCS rope clutch features a black surface finish, as well as a unique lock up cam mechanism. 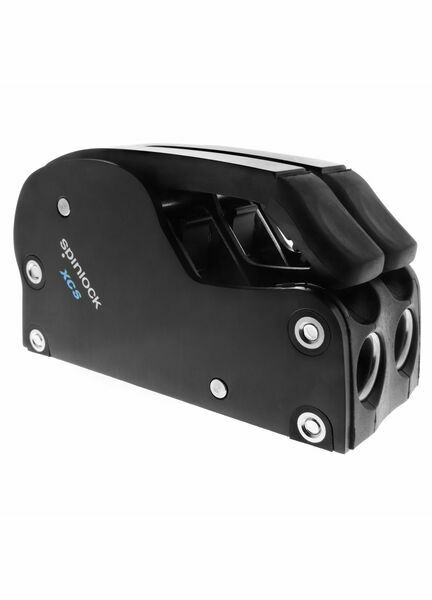 The lock up cam allows the line to run freely in both directions when the lock is engaged, until normal clutch function is needed. 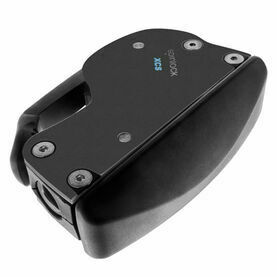 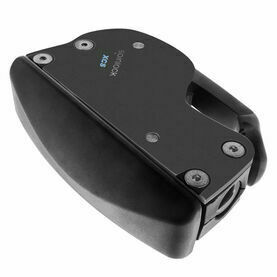 The side mounting on this XCS clutch offers a neat solution for spars, side decks, and coamings, and the deckgear device has also been given a black surface finish.